3. Drones monitor fertilizer runoff… up to 50% is never absorbed by crops, leading to air and water pollution. 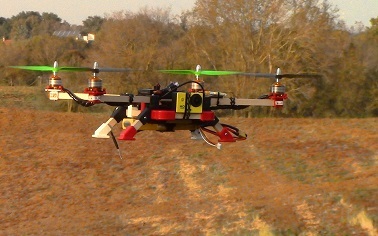 It also affects a farmer’s pocket book; fertilizers account for about half of what farmers spend on fields….Drone sensors can create imagery indicating which fields need N or P, and which are doing just fine, so more precise fertilizer application, less being lost into environment causing problems like algal blooms. 4. Water used more efficiently…Drones with thermal cameras can detect which crops are too hot, and which are cooler, so irrigation can be aimed at dry, thirsty plants instead of entire field…water savings potential is massive, especially in drought-stricken areas, where every saved drop of water matters. This entry was posted in Events local and tagged Agriculture, drones, drought, fertiliser. Bookmark the permalink.